Lichens are among the most colorful and abundant organisms in the world. They provide food and nesting material for a wide variety of wildlife, contribute nutrients to the soil, and are indicators of both undisturbed ecosystems and clean air. They lend color and pattern to trees, shrubs, and rocks, yet most people know little about them. 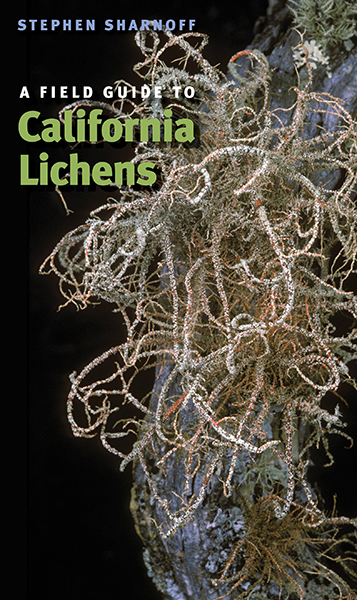 This richly illustrated, authoritative guide to the lichens of California draws new attention to these striking and ecologically important organisms, which are symbionts—representing a relationship between a fungus and alga—and highlights their beauty, diversity, and value as a natural resource. Lichens are especially abundant and varied in California, where climates range from temperate rainforests to arid deserts. A Field Guide to California Lichens features stunning new photographs of some 500 lichen species by award-winning nature photographer Stephen Sharnoff. Up-to-date descriptions accompany each illustration. Among the special contributions of the guide are its coverage of most common macrolichens in California and its inclusion of many of the crust-forming species. 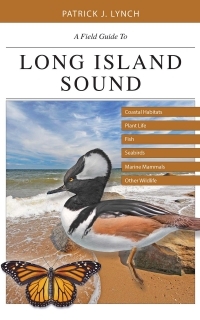 For land management professionals and scientists involved with ecosystem studies, for birders, hikers, and all others curious about the natural world around them, this book will be a welcome field companion. Stephen Sharnoff is research associate at the Missouri Botanical Garden and the University and Jepson Herbaria, University of California, Berkeley. A renowned nature photographer best known for his contributions to the definitive reference Lichens of North America, he is currently at work on a guidebook to the wildflowers of the Sierra Nevada. He lives in Berkeley, CA.